Welcome to the third generation of the Finan Family History website. This site is dedicated to the discovery, preservation, and discussion of the Finan Family history. There are a great many pockets of Finans all around the world, and it is anyone’s guess as to how we are all related (if at all). It is my hope that through this web page, we will be able to share our various stories, and hopefully put all of the various puzzle pieces together and come up with the real story. It is my intention that this be a live interactive site where we can share our stories, and hopefully all get to know one another. At this point, the histories described herein, pretty much correspond to my particular branch of the Finan tree. As we hear more stories, I hope to add other branches to the tree as well. 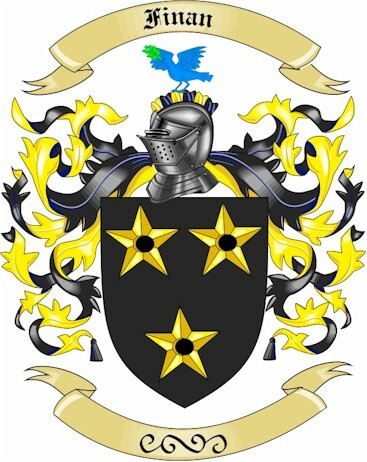 My branch of the Finans are descendent of Thomas Finan, who emigrated from Castlerea, in County Roscommon, Ireland around 1865 and settled in Keene, New Hampshire (USA). I have included here all the information that I have gathered to date on our history, as well as pointers to other pages that may be of interest. For this site to succeed, we must have input from other Finans. Please e-mail me and let me know what you think of the site, tell my the story of your family, or just say hi ! Also, please make sure that you sign the Guest Book !